Along plenty of opportunities now surrounding Kosovo since its hardships, an addition is a project funded by the Western Balkans Fund boldly aiming to empower the people behind “the front cover man’s heroic actions” a.k.a. women. That’s right; a project dedicated to implementing the x chromosome into the world of programming to show how far their potential is willing to carry them and how far they’re willing to carry it. The target goal behind this idea is to present women in the digital world and to have them be given just as many opportunities to expose their niche and be rewarded for their passion and relentless effort via opportunities such as scholarships as well as possible exposure to interested programming scouts world-wide. A group of kids evolving into capable adults full of childish imagination, fearless, ambitious and hungry to prove how far the passion inside them is willing to push the borders of science and even nature itself. Whether it be small-town girls or city gals, they all have a universal talent and the same dream: to change the world with a piece of themselves. Because we don’t have wings, we look for ways to fly, that is what these girls are trying to do by honing their skills and trying to break the gender stigma that threaten their role in society in many outlets. All so different in form of expression yet so unified in their ideal future for the world, many panelists had been invited in the event held at ICK (Innovation Centre Kosovo) to publicly share their coming-of-age programming stories including the good, the bad and the hope with people from Kosovo, Albania and Macedonia alike. Starting in the panel, the representative speaker being Njomza Emini of prestigious background decorated by the French President (other recipients being: Barbara Streisand, Celin Dion, Ismail Kadare, etc) expressed her delight and pride in the current progress of women empowerment in the scientific field of programming taking into account the predominance of the male gender in the workplace in the 70’s, today having 4 female CEOs’. The event was graced with five prestigious panelists being Executive Director of Kosovo ICT Association (STIKK) Vjollca Çavalli, co-founder of “Shkolla Digjitale” Hana Qerimi, game developer of Zombie Soup Agnesa Belegu, CEO of “Appdec” Zana Tabaku and co-founder of “JCoders Academy” Arta Shehu-Zaimi all rallied to impart on their experience throughout their lives to their present careers with the interview held by Events Manager of ICK, Shpend Lila and together they set in motion the event that would mark a giant step for women in Kosovo. As panelists relayed their stories, points such as all activities having few next to no female members in many miscellaneous activities had been cited not to mention the unspoken indirect blockade of fear people had at the time of female members potentially underperforming next to their male counterparts. In a lighter speculation, however, one of the panelists, founder of “jCoders Academy” Arta Shehu-Zaimi, being a first-time mom was still able to break the glass ceiling of patriarchal dominance and constantly cultivated her career to its maximum potential. It is evident that most of the stories of the panelists present a new gap in gender equality due to social media which in turn implores us to try harder and not lose faith in our abilities. 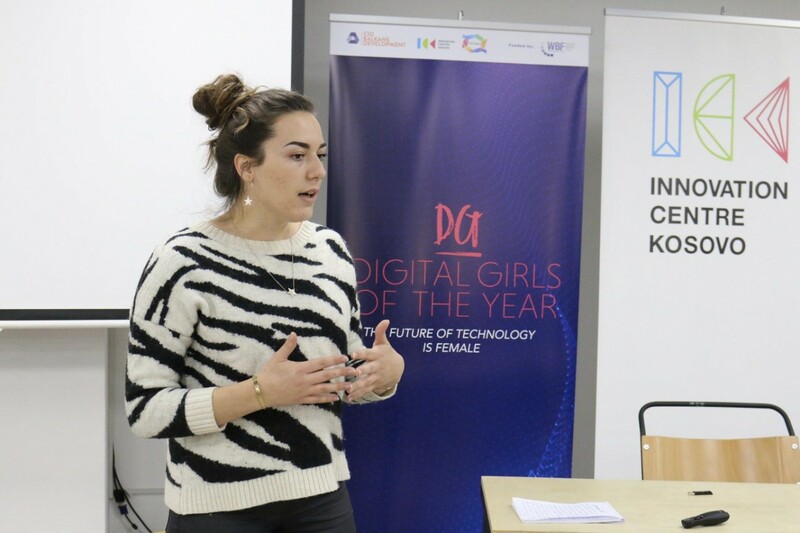 Watching real-life examples, not just on TED Talk, but a fresh start-up female in Kosovo with an independent entrepreneurial drive is an excellent way to present a motivational drive for the young females in the program. Agnesa Belegu, worker of Zombie Soup and one of the panelist speakers noted her ambitions saying “Determine your path based on where your passion lies. Make it a life profession, and it will create the greatest pleasure on this Earth”. In argument to the psychologically unhealthy influence of technology and social media, the point was made that programming converts a kid’s effort from passive use of social media to active innovative use that gives shape to our society in Kosovo more and more for a prosperous future. Founder of “Appdec”, Zana Tabaku noted, “Problems get solved via technology only gained after ample experience and so people who want to solve problems and have a certain way and field of doing it should never let societal norms stop them”. Diversity in programming enriches it. It builds multiple facets for everyone to participate and contribute in. That is why it is encouraged for these young potential-driven women to engage in their community in as many projects and different forms as they can. This platform will help them build a base for the future. For is it not uncommon to be discouraged from this career path due to their environment. Women are often virtually threatened off the ICT career path for fear of not being able to put in the extra hours to commit to work instead of having a family or if having found a job in said career path, the job is usually a demoted version to their male counterparts. Aiming to override this social fluke, the Digital Girl of the Year project has rounded individual applications of about 100 high school girls in Kosovo with no concise career plan and an aptitude for ICT to test out their abilities as well as their innovative instincts by presenting to each individual applicant with an opportunity to present an answer to a common daily social problem solvable via digital innovation. We’d all like to taste the convenience of checking out a certain library book via phone versus walking to the library on the off-chance that they have that title in the first place same as we enjoy the convenience of ordering food on the phone. 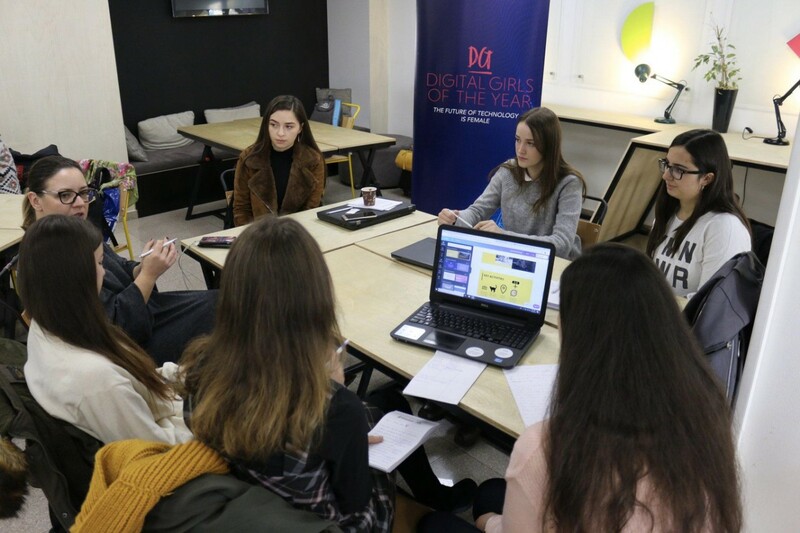 After putting those mental cogs and wheels turning, the girls pitched their projects one by one, presenting each idea as a potential solution for those social problems that would especially aid their country in improvement. After the pitches, the judges rallied to comment and select the 5 winners out of the 100 girls. 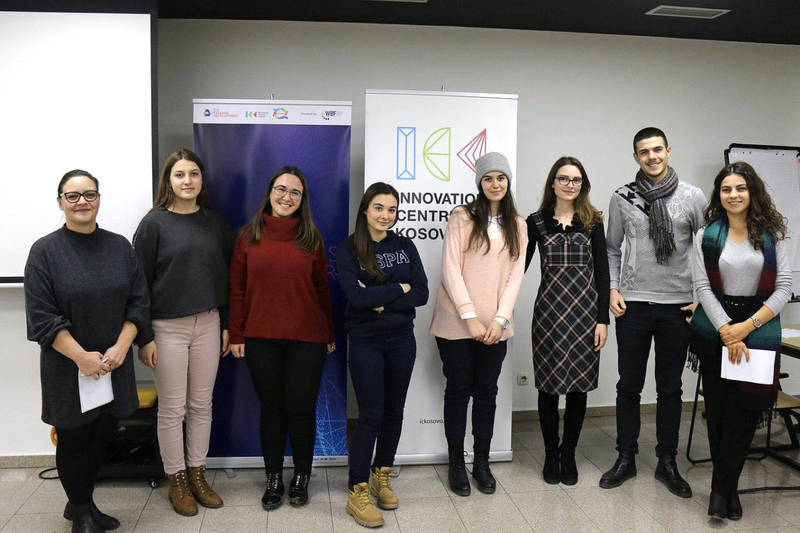 Having chosen the 5 Kosovar high school winners, as well as those in Albania and Macedonia, the next step is to gather in Pristina during the February of 2019 with the winners for the next step of the project. Participation from the high school girls was an adoring testament to the conviction and desire of a talented scientific mind to break their way into the ICT career despite the former lack of resources and societal discouragement towards going for a scientific field versus a social arts path as these participants have proven that will and ability have no norms.